Why is fall my favorite season? The food of course! 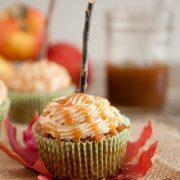 I get so excited this time of year for the caramel apples, the pumpkin pie and just the delicious scent in my house from all the fall baking. It’s that time of year that you know you’ll need to get the big container of cinnamon because it’s going in everything. 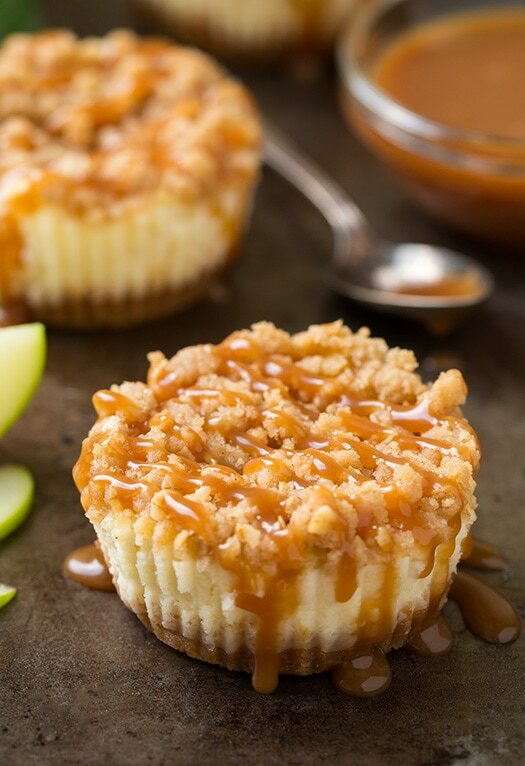 Since caramel apples are one of the first things I crave this time of year I decided to combine them with another one of my favorite desserts, cheesecake! And this time we are going mini. They are easier to serve, they are better for portion control and really they’re just so much cuter. Yes, the caramel sauce is definitely a must (and I’d say a generous amount) but if your not into the whole salted thang then just use the regular. And be sure to check out the link in the recipe for the salted caramel sauce recipe (which again, you can make unsalted) because it shows photos of all the stages of cooking caramel sauce so you’ll know what to watch for so it isn’t under-cooked/doesn’t burn. 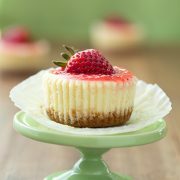 These tempting mini cheesecakes are the perfect party or after dinner treat! 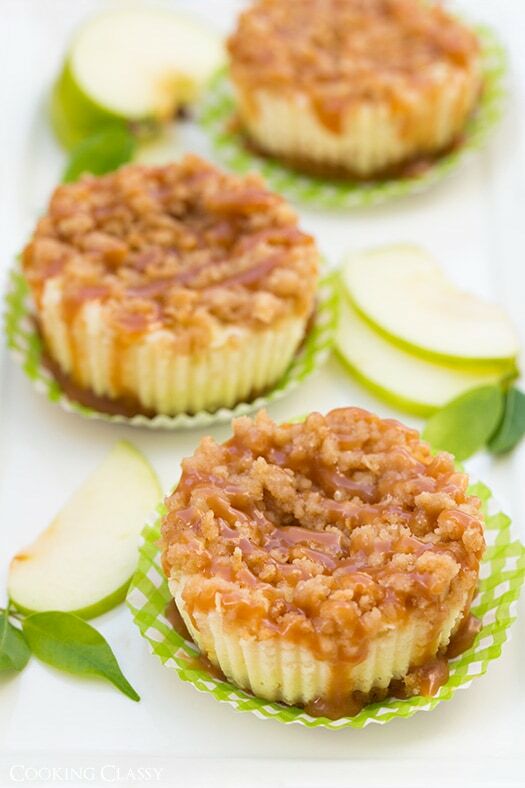 They're loaded with tender apples and finished with the most decadent toppings! Preheat oven to 325 degrees. In a mixing bowl, whisk together graham cracker crumbs, sugar and cinnamon. Pour in butter and using a fork, stir until evenly moistened. 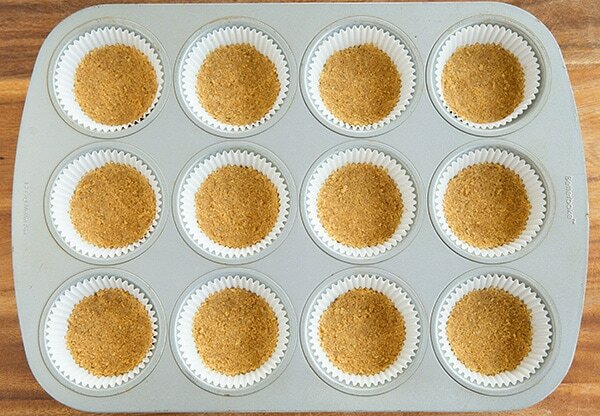 Divide mixture among 18 paper lined muffin cups, adding a rounded tablespoon to each cup. Press into an even layer. Bake in preheated oven 5 minutes, then remove from oven and allow to cool. 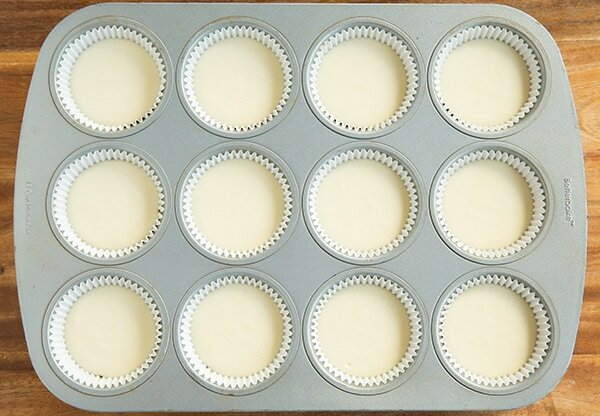 Divide cheesecake batter evenly among 18 muffin cups pouring filing over crust (I used a 1/4 cup and filled it about 3/4 full). 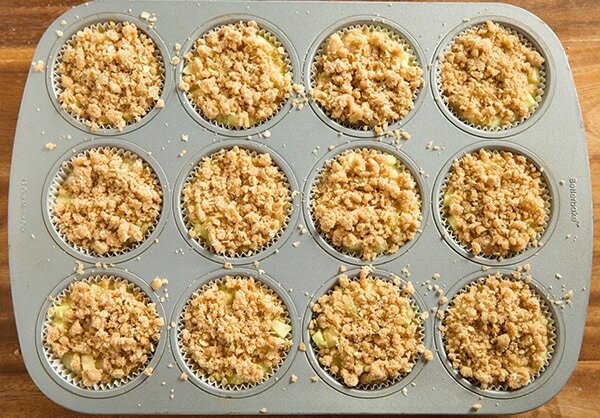 Divide apples evenly over cheesecake layer, then finish by sprinkling a heaping tablespoon of the streusel over tops. 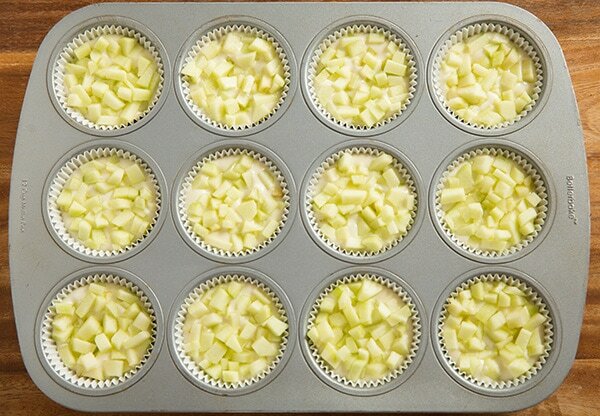 Bake in preheated oven 23 - 25 minutes. Cool at room temperature 30 minutes, then transfer to fridge and chill 3 hours. 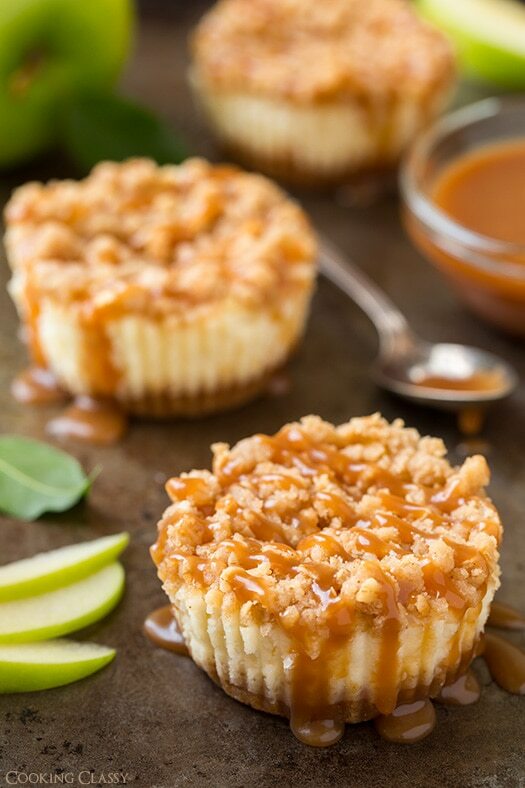 Serve with caramel sauce. *This is about 3 small granny smith apples. I recommend chopping very small so they can cook all the way through, almost mincing them (even smaller than that pictured because mine weren't quite tender all the way through). Salted caramel sauce recipe link HERE. LOri gutierrez: Hey! 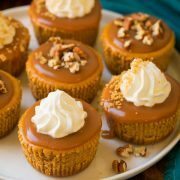 I’m making these for a Thanksgiving dessert. Can you tell me what temp to bake these? It has the temp for the crust at 325 is it the same for the final bake?